Every now and then I get the urge to go back to the Fallout universe. Something about that post-apocalyptic wasteland drives me in and doesn’t let go for hours at a time. Although I have exhausted Fallout 3, I still have an unfinished campaign of Fallout: New Vegas sitting on my hard drive, with many of the DLC expansions remaining untouched. 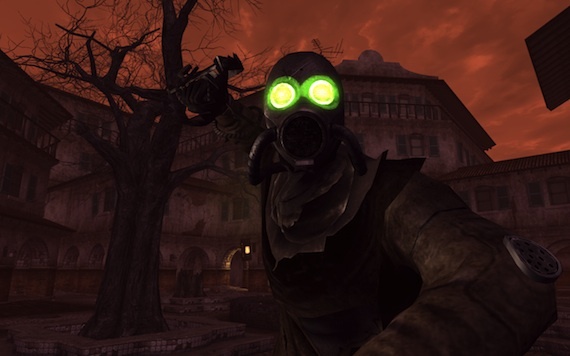 Dead Money was the first piece of downloadable content released for New Vegas, and it offers an intriguing premise. A mysterious signal from an abandoned Brotherhood of Steel bunker beckons the Courier, and visiting this location leads to him being knocked out and transported to the Sierra Madre Casino. The Courier awakens to find an explosive collar wrapped around his neck, and he is commanded by the Brotherhood elder, Father Elijah, to work together with three other captives to pull off a massive heist at the casino. Since the collar will go off if he attempts to leave, the Courier has no choice but to accept, and he does so without any of his weapons, armor or loot. Yeah, no one ever said this was going to be easy. In fact, this expansion is downright brutal at times in terms of difficulty. Not being able to start with your normal loot is a huge disadvantage, and finding worthwhile weapons is a monumental task in itself. Health packs are also scarce, so it can be important to dodge enemies instead of fighting them head on. Dead Money‘s environment also has other factors that raise its challenge. There is a toxic red fog that covers much of the area, and the Courier loses health rapidly if caught in it. The explosive collar is also a nuisance since its signal causes interference with the various radios and speakers scattered around the environment. If he gets too close to one of them, the collar will explode, killing him and the other three captives. Throw in a handful of new enemies — including the incredibly annoying ghost people — and this can become quite the frustrating save-and-reload experience. What makes Dead Money worth playing is its story. There’s quite a bit of substance in terms of plot, and the characters are especially entertaining. The three captives are an amusing bunch. There’s a super mutant with a split personality — “Dog” and “God” frequently bicker with themselves –, a radioactive ghoul named Dean Domino that used to be lounge singer at the casino, and a mute scribe named Christine that lost her voice in one of the most horrific ways possible. It’s a lot of fun getting to know these characters, and each one has their own quest in which the Courier spends a great deal of time with them. The expanion lasts anywhere from 6-8 hours, so there is a good amount of juice. It’s just a shame that the great storyline and entertaining characters are diminished by the punishing, repetitive gameplay. I really didn’t enjoy this DLC at all. It felt like a grind, and I just wanted to get through it. The story isn’t bad but everything about the execution is awful. Fortunately I had the Light Step perk, so I didn’t have to constantly watch the ground for booby traps. One good thing, though, is the Holorifle, which I pretty much used as my primary weapon throughout the game afterward. Ahh, yeah I wish I had the Light Step perk for this. There were more than a few landmines that got me, which was especially frustrating when also having to run from those damn ghost people. The Holorifle did come in handy though — agree with you 100% on that. Shame the DLC didn’t live up to its potential. Great story, poor execution. 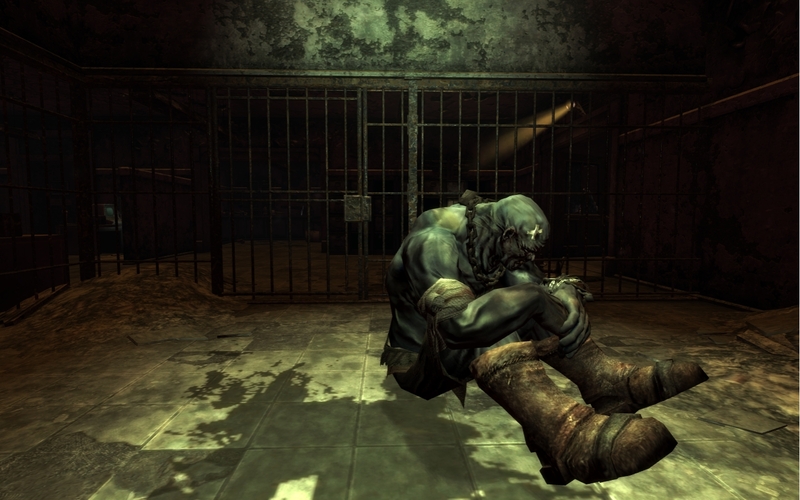 The more I bounce back and forth between Fallout 3 and New Vegas, the more I have been preferring to play Fallout 3 over New Vegas. I don’t know what it is with New Vegas all of a sudden but lately I have been feeling less inclined to want to keep playing it over time, and I still have yet to finish it. I have been playing the first Mass Effect more than New Vegas. I cannot wait to play Bioshock Infinite. I think I prefer Fallout 3 as well. New Vegas has a lot of interesting ideas — such as its faction system — but I haven’t been compelled to go through and finish my playthrough yet either. With Fallout 3, I had a hard time stopping at all. Agreed on Bioshock Infinite. I keep seeing so many 10/10 reviews, which are so rare these days. Once it goes on sale, it’s mine! That is pretty much what I am waiting for. I’m not about to pay full price. I’ll even wait for a used copy, provided I am not going to be overcharged for it. With Fallout Vegas, I still do not like that the magazine (learning) wears off, it makes no sense. It is like you learn something, then when it wears off you unlearn it. How is that possible? Well, to be fair, there are skill books in New Vegas that offer permanent stat increases. They are just much harder to find than the magazines, which only provide a temporary boost. “frustratingly difficult” and “repetitive gameplay” do not sound good in my book. Strong stories sometimes make up for it, but I have yet to finish Fall Out 2, which I bought a while back, so it’ll be a while before I even give the third a try. I haven’t played the first two Fallout PC games, but I highly recommend checking out Fallout 3. It’s probably my favorite game this generation. 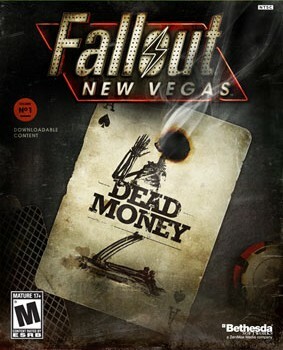 I highly recommend New Vegas as well, even though this piece of DLC is disappointing.